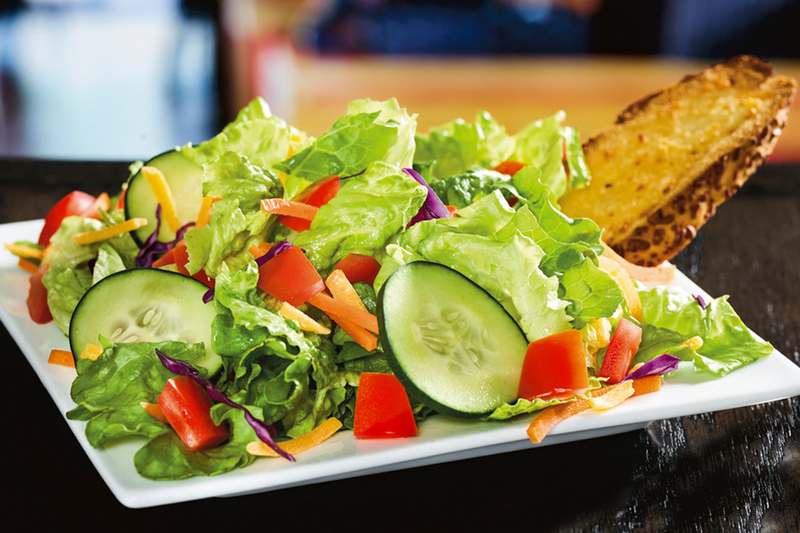 Crisp mixed greens topped with tomatoes, Cheddar cheese and cucumbers. Served with croutons and a choice of dressing. Cal. 160/Serving. Based on 6 servings. 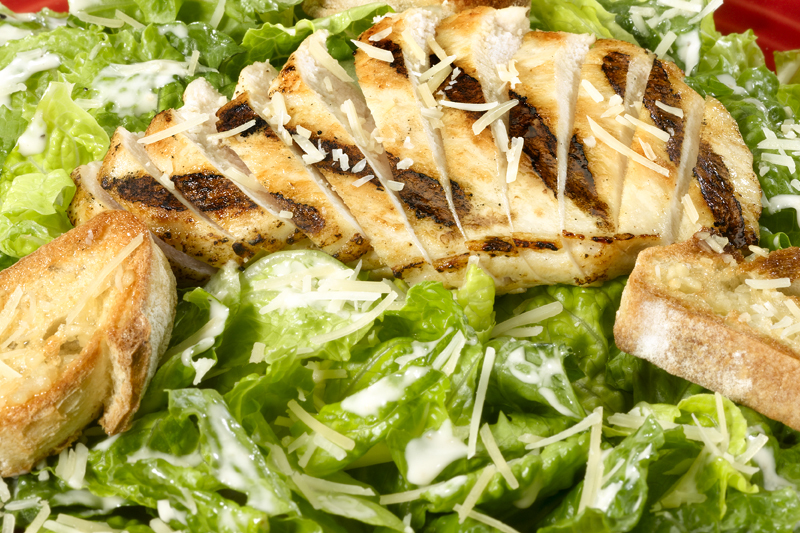 Crisp romaine lettuce and shredded Parmesan cheese tossed with creamy Caesar dressing, topped with fire-grilled chicken breast and erved with croutons. Cal. 650/Serving. Based on 6 servings. 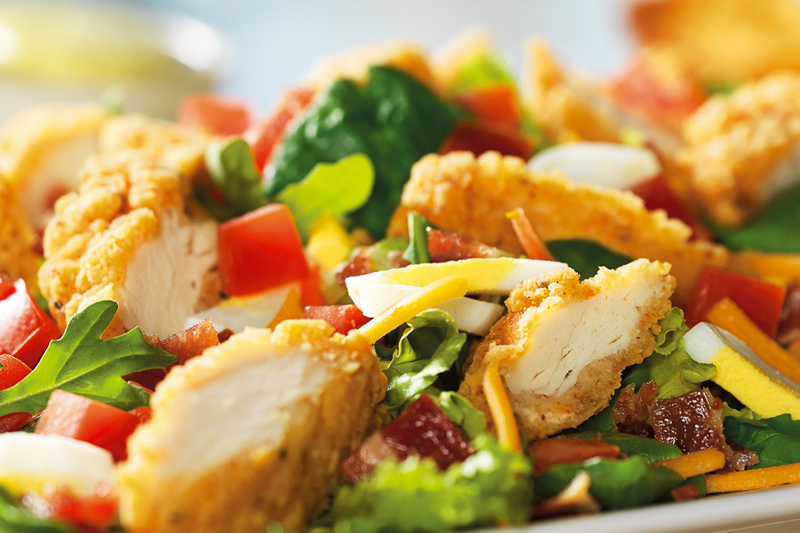 Crispy chicken tenders tossed with hard-boiled eggs, hardwood-smoked bacon crumbles, tomatoes and Cheddar over mixed greens. 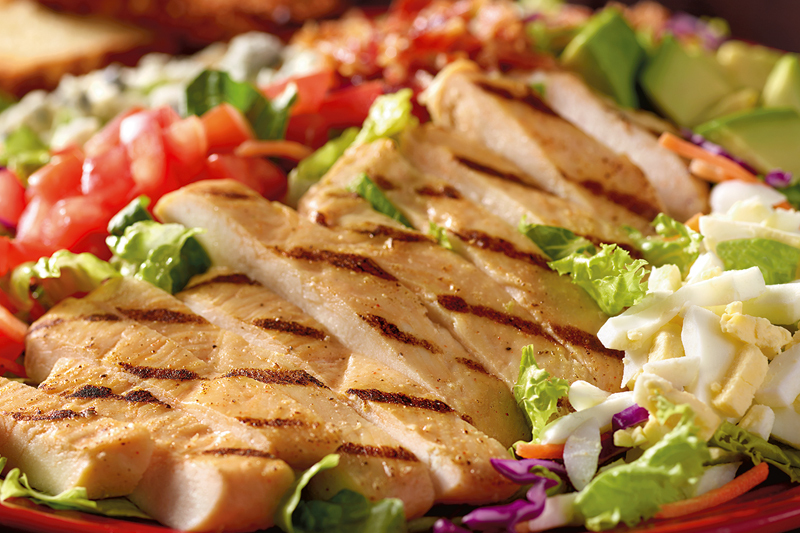 Served with croutons and choice of dressing. Cal. 500/Serving. Based on 6 servings. 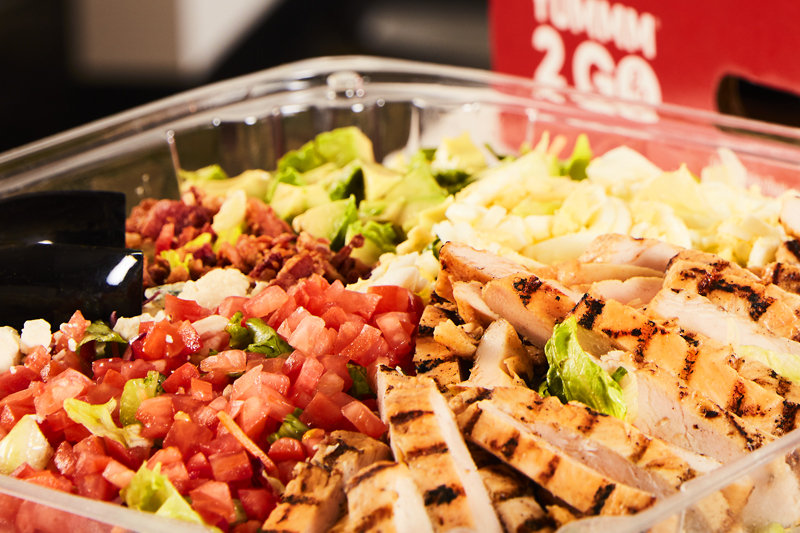 Fire-grilled chicken breast, hardwood-smoked bacon and Bleu cheese crumbles, hard-boiled egg, tomatoes and, of course, avocado on mixed greens. Served with garlic toast and choice of dressing. Cal. 320/Serving. Based on 6 servings.